Facebook launches their new Creator app, ManyChat announced Flow Builder, LearnDash enables micro-content, MeetEdgar gets a makeover. Welcome to This Week in Online Business Tech! Facebook launched a new app called Facebook Creator this week and made it available for iOS devices with Android to come within a few months. Combined with the recent announcement of Facebook Live Producer which we covered in Episode OBT002, it's clear Facebook is gearing up to go head to head with YouTube in the battle for video creator mind share. That's good for all of us! Where the Producer web app targets folks doing studio-like productions from their desktop and browser, the new Creator app is all about live streaming on the go with your mobile phone. Creator lets you add intros, outros, branded frames, stickers, and other elements to your live broadcasts. These make it much easier to create a branded experience and apply it consistently across all of your live streams, even ad-hoc and on the go. The app also adds useful features like consolidating comments and messages for your videos in the community tab. Finally, the insights tab provides analytics and data about the performance of your videos and engagement from your audience. Facebook has also launched a new website called Facebook for Creators, which provides a centralized location to learn, get answers, and interact with other creators. I'll be downloading and testing the new app this week and am looking forward to it! If you are not familiar with ManyChat, they are one of the leading Facebook Bot and Messenger marketing automation platforms. Definitely worth checking out even before this announcement. For Flow Builder, ManyChat is addressing one of the biggest challenges with Messenger marketing and automation which is designing and documenting complex conversation flows and sequences. The evolution of this space is exactly the same as email service providers went through. At first emails sequences were just that: a specific set of messages delivered one after another. Later the needs for delays, re-sends, branching logic, and complex workflows arose and more advanced providers like Infusionsoft, Active Campaign, and Drip, delivered graphical editors where you could design complex workflows. With Flow Builder, ManyChat is doing this for Facebook Messenger Bots. This capability is even more important for Messenger bots because there tend to be many more interactions during a Messenger conversation than during a typical email sequence. Think about a series of five questions you might ask in a Messenger conversation, each with at least a yes/no answer if not multiple choice. From there you branch out into dozens of different potential paths. Without a visual editor this would be difficult if not impossible to implement and track. Pretty exciting and a good move for ManyChat to keep toward the front of the pack in this space. Create your content once and you’re done! Re-use your Lessons, Topics, and Quizzes in any course – at any time! Writing new update announcements is always enjoyable. But even more so for today’s update! After many months of development and testing it is with great pleasure to tell you about LearnDash Version 2.5 – a…… Online Course Creation Has Just Evolved! LearnDash is one of the leading Learning Management System (LMS) plugins for WordPress. It's what I'm using to build all of the courses for my StrongStart Accelerate program. Prior to this, and consistently across most LMS systems, they forced you to have a hierarchical relationship like course, then module, then lesson and you could not use the same lesson in different courses. With this announcement, LearnDash is letting you treat all of the lessons or topics you create as independent elements which lets you then add them to any course you created. As an example of where this will be helpful to me, I am creating courses related to both blogging, podcasting, and live streaming. Each will have an element where I will talk about scheduling social media to promote your content after you create it. So instead of having to duplicate that lesson in each course, I'll be able to assign that single lesson to both courses. Another scenario, especially if you have a large collection of lessons and topics is that you will be able to very easily create new courses from existing content. I've already upgraded my site to version 2.5 and will be building out my library of topics. Have you checked out Edgar lately? Because he got quite a makeover – and we can’t wait to share it with you! It’s not just what’s on the outside, either – we’ve implemented some serious upgrades, so navigating your Library is easier than ever! (That means you can spend a […] The post Have you seen Edgar’s Library makeover? appeared first on MeetEdgar…. Have you seen Edgar’s Library makeover? MeetEdgar is a great social media scheduling tool that introduced a unique feature when it launched: the ability to create a library of evergreen social media posts and the ability to repost them according to a schedule you set based on the categories you assign to the updates. As an example, you could have quote posts, promotional posts, information posts, and so on. Then you can say which days of the week and which categories you want to re-post on an ongoing basis. With this update, there are enhancements to the library and category functions that make it easier for you to manage a large library of posts. These are some good additions. I used MeetEdgar for a year or so but have since switched over to CoSchedule which basically added the same functionality via a feature they call ReQueue. Regardless of which you use, the ability to schedule and post these evergreen updates is definitely a capability you want to have in your social media marketing strategy. WordPress 4.9 has some very interesting new features. The focus of several of them have to do with letting you edit the design of your site in a new draft mode and schedule the time when you want the design updates to take effect. The concept is similar to post drafts and scheduling posts except the new features are all about design changes. Combined with those, there is also a preview link that has been added to that you can see what the site will look like after your changes, but while they are still in draft. The net effect is you can now work on your production site's design without your live users seeing it until you are ready and publish the changes. There are also updates to the code editor, new widgets, more stability when changing themes, and some other housekeeping type items. I applied version 4.9 to my site without any issues. While I doubt many of us are doing anything in 8k, I included this update from Blackmagic this week because of the discounting on the micro converters. These devices let you change between SDI and HDMI connections or vice versa. Not many of you are likely doing anything with SDI but the more advanced video folks might be. I've moved over to SDI in my home studio due to needing more stable connections over longer cable runs which SDI excels it. The reason for needing these types of converters is that I use DSLRs for my high quality videos. I don't have dedicated video-specific cameras. So my cameras all output HDMI, which I then use converters like these to turn into an SDI signal. I keep my HDMI cables as short as possible, then run the rest over SDI. I'm a big fan of CoSchedule (affiliate). Both their product and their content marketing team are excellent. CoSchedule is a great content calendar and collaboration tool along with a full features social media scheduling tool called ReQueue, which provided similar functionality to MeetEdgar. This week CoSchedule has released a refresh of their mobile app. The new app lets you compose, send, or schedule social messages across your different Facebook and Twitter profiles as well as respond to comments from Instagram posts. They are positioning this as a tool you should use for composing your messages because they have designed an easy to read, distraction free UI for creating your posts. CoSchedule also has added what they call Social @messages for Mobile which let you add @mentions to your mobile posts as well. The app will suggest mentions based on the content of the post. This article from Facebook is worth a quick read as it summarizes their research on the use of Messaging. I didn't know this but December 3, 2017 will mark the 25th anniversary of the first SMS text message ever sent. The article is full of very interesting statistics on the use of Messaging like this one: 80 percent of adults (age 19-64) and 91 percent of teens (age 13-18) across the globe message every day. Other statistics cover usage emojis, the impact on face to face conversations, and more. Basically the statistics selected push back on the notion that social and messaging diminish in-person communication. The data is interesting in and of itself and as I have mentioned in my post about my content research process, I collect and bookmark data rich posts like this to use and cite in my own content. 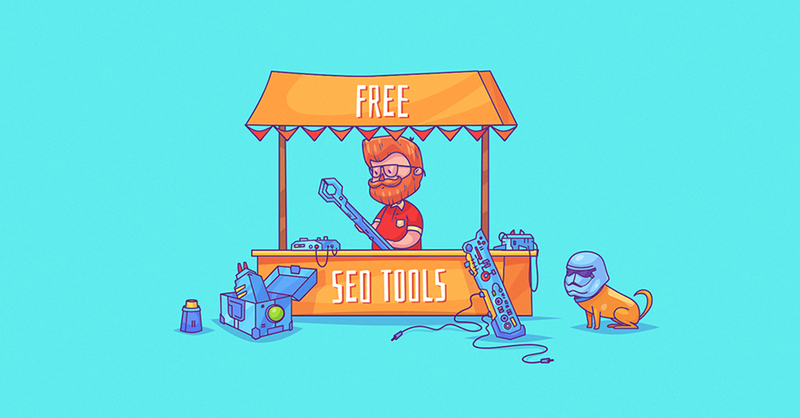 This post is an exhaustive list of free SEO-related tools. The usual suspects are in there but there are also a bunch of lesser known tools that cover gaps or provide a different or easier to use interface. I cover the processes and tools I use for SEO in this post which also includes and SEO checklist. This week's tech tip is about bookmarking and tagging interesting content. I use Pocket which many of you are probably familiar with. If not, it's a tool that lets you bookmark sites and apply tags to your bookmarks to categorize, sort, and filter them. The reason I love Pocket is that it's available everywhere and let's me apply an unlimited number of tags to each bookmark. I've mentioned before that I always bookmark great articles, tool list articles, data rich articles, and more. By using tags, this give me a powerful research database. As an example, the Facebook post about Messenger statistics. I bookmarked that post and added tags like: Facebook, Facebook Messenger, Statistics. The next time I create content related to any of those topics, I just go into Pocket, select those tags, and then I see everything I've ever bookmarked on those topics. This saves a huge amount of time compared to searching. My bookmarks are my own list of curated sources. I have mentioned that I use CoSchedule as both my content calendar and as my social media scheduling tool. This week's automation tip is to check out the ReQueue feature in CoSchedule. ReQueue works hand in hand with the content calendar in CoSchedule. What you do is define time periods and frequencies where you'll allow social media posts to be sent. Then you build up a library of evergreen posts. ReQueue will then fill in your content calendar and automatically schedule messages to be sent from your library according to your category, social network, and frequency settings. If this sounds like the tool called Meet Edgar you are correct, this is similar. Where it differentiates is the integration with your content calendar and the addition of dynamic scheduling. What that means is that each time you schedule a new piece of content to be published like a blog post or a podcast, ReQueue will re-shuffle your automated posts to keep within your daily limits and settings. Here's an example. Let's say I set up my automation such that 5 tweets from my library are sent every day. Now let's say I publish a blog post and use one of my other favorite CoSchedule features which are social media campaigns attached to blog posts where I have multiple tweets set up to market every blog post I publish. Those campaigns publish three tweets about the article on the day I publish it. If both of those pieces of automation ran, I'd be sending 8 tweets that day which exceeds the maximum of five that I have set. What CoSchedule does is it automatically updates the full calendar to make sure that my blog post tweets are sent and then only allows two of my automated library tweets to be sent that day. It keeps me within the maximum. Behind the scenes, CoSchedule also let's you put limits on each message like “don't send more than twice in a week”. It also posts each message at the optimum time of the day for maximum reach. All in all this is my favorite platform for automating social media posts.